Kammprofile gaskets are also known as camprofile gaskets, have similar characteristics to spiral-wound gaskets. These specialised gaskets are used in various applications such as oil refineries, petrochemical plants, power plants and more. Kammprofile gaskets consist of a sealing core metal with concentric serrations and faced with a non-metallic material like graphite, PTFE, etc. The choice of material depends on the operating conditions. They can come with or without a guide ring. Once the gasket is installed, the soft non-metallic material is forced into the metal core serrated grooves creating high-pressure seals along the gasket face surface. 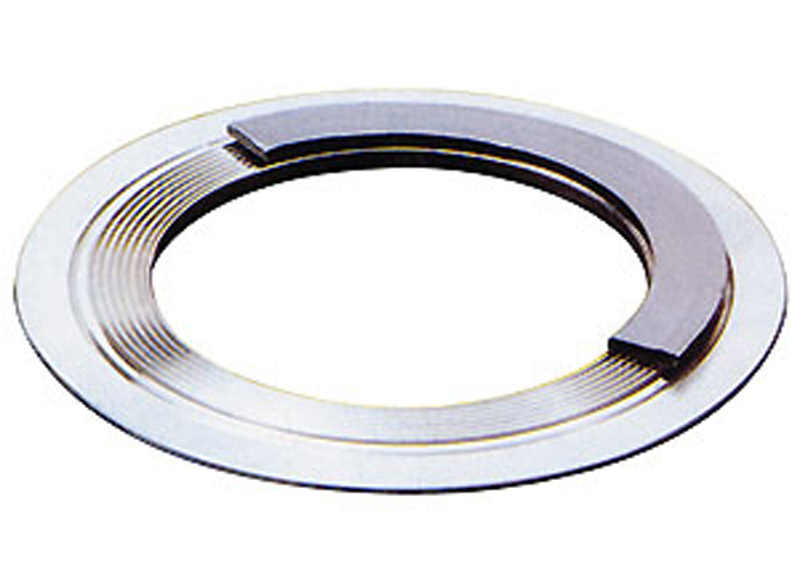 In addition to providing one of the tightest seals Kammprofiles have superior load bearing characteristics. Unlike a spiral-wound gasket, all of the compressive force is exerted on the kammprofile graphite facing, thus resulting in a very tight seal. Kammprofile gaskets compress significantly less than spiral-wound gaskets. Since the kammprofile is solid metal, as opposed to alternating plies of metal and filler of spiral-wound gaskets, it is extremely resilient and easy to handle. Price-wise kammprofile gaskets tend to be more expensive. However, their increased upfront costs can be compensated by avoiding costly, unscheduled outages and loss of production. Spiral-wound gaskets may have a small advantage in case the mating flanges are too close and if the gasket is expected to be susceptible to mechanical damage or abuse during installation, since the graphite facing is more vulnerable to mechanical damage. Likewise, in some situations, spiral-wound gaskets may be more resistant to oxidation, since the windings keep the graphite in place and protect it. On the other hand, kammprofile gaskets are more tolerant to sealing surface defects..
ATC offer gaskets made from a wide range of other materials or bespoke gasket for particular client needs. To discuss your gasket requirement contact us today so that we can offer the best solution to your industrial application.